Located high on a hill only 5 min. 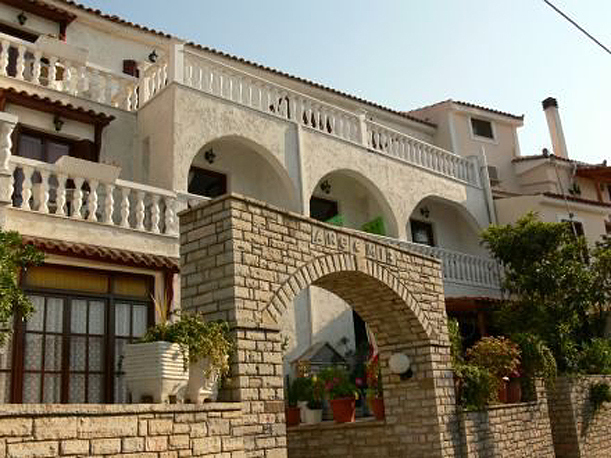 from the center of Kokkari, one of the island's most picturesque fishermen’s villages with marvellous beaches inside and outside the village, surrounded by a wonderful green scenery of olive groves and pine trees. traditional stylish equipment and furniture. … is the Epitome of the Greek “Dream-Island”: not too big and not too small, with olive groves, vineyards and pine forests, steep mountain ranges and lush green valleys, endless sandy beaches, crystal clear waters and ancient monuments. An island with thousand faces and offering something for everyone’s taste!